We have all walked into work one day and realised that somebody isn't at their desk. Or tried to get in touch with a client via email or Skype to be told they are off sick. Whether it’s the flu or something more serious, being stuck at home ill is no fun as you can't enjoy the time off and are often so bored you are chomping at the bit to get back in amongst it all. If you are missing a business associate, colleague or client who are off sick why no brighten up their day with these lovely Quick Recovery corporate ecards? A pretty bunch of flowers bearing the “Get Well Soon” label says it all. It doesn't need fancying up or being adorned with glitter and other such rubbish, this little ecard is telling the person who is ill that you have thought enough of them to send these e cards. You can personalise it too with a special message, or just your signature so they know who it was who cared. 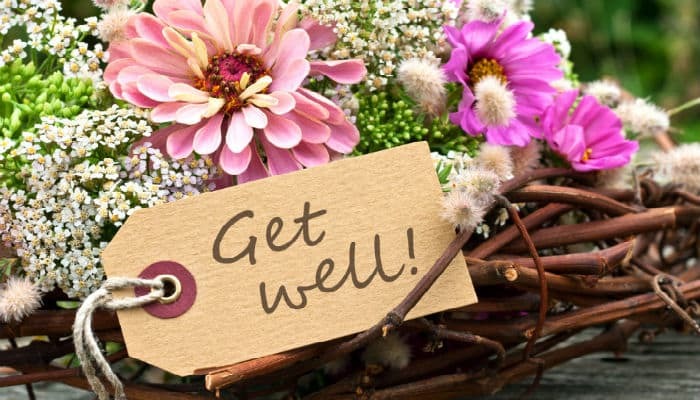 Communication in business is vital, and this will make a big impression with the recipient that you have not only noticed they are missing but taken time out to wish them a speedy recovery. This coming Christmas holiday season why don’t you stop by and design one of our amazing Christmas ecards for business and witness for yourself what all the fuss is about.